Once again, every fight on an Octagon card will be made available for live viewing. “UFC 137: St-Pierre vs. Condit” takes place October 29th inside the Mandalay Bay Events Center in Las Vegas, Nevada. Facebook will kick off the festivities by streaming five preliminary bouts starting at approximately 5:50PM ET/2:50PM PT. 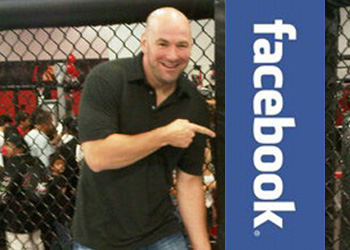 Fans simply have to “Like” the UFC’s Facebook page in order to watch the contests live. The pay-per-view broadcast begins immediately after the freebie fights at 9PM ET/6PM PT. A pair of welterweight affairs will headline the company’s return to Las Vegas. BJ Penn meets Nick Diaz in the night’s co-featured contest, while champion Georges St-Pierre defends his throne against Carlos Condit in the show’s main event.